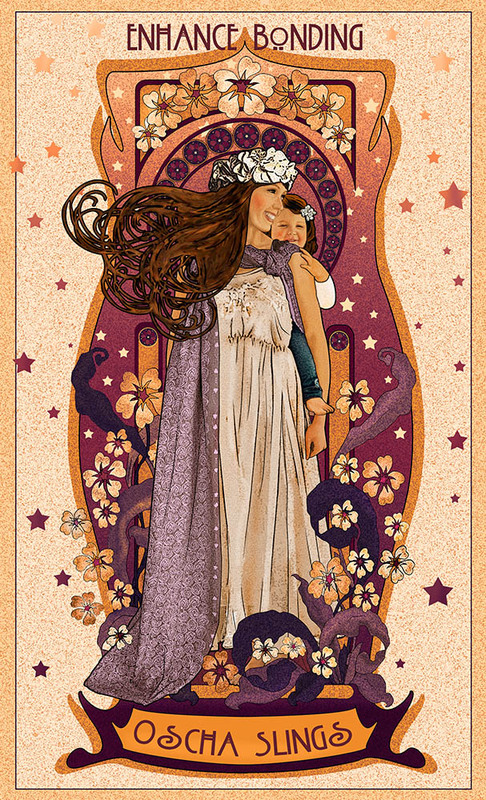 In this series of blog posts, in celebration of International Babywearing Week, we discuss the many benefits of babywearing, each presented with a beautiful piece of artwork developed here at Oscha, and share some of the touching stories our customers have told us about the impact of babywearing on their lives. 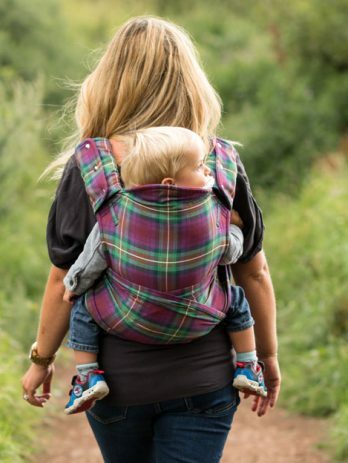 Babywearing increases the opportunities for close contact between parent and child which leads to a more secure bond. 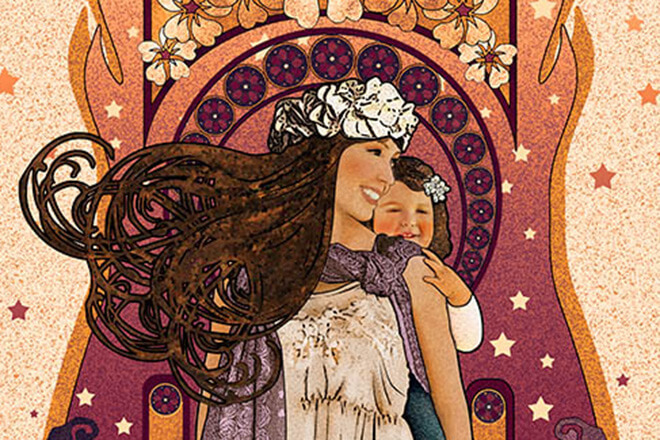 Children who are carried develop a more secure attachment to parents, and securely attached children and adults live happier, less conflict ridden lives (1,2). 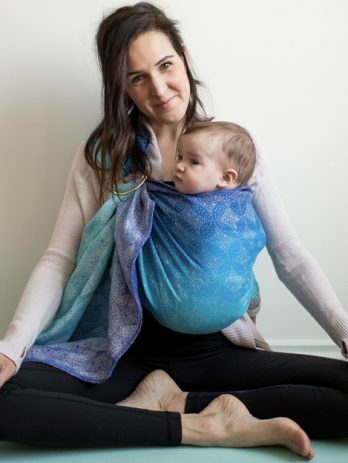 Babywearing can lessen the likelihood and impact of post-natal depression in mothers, which helps to develop a healthy and lasting bond between mother and child (3). 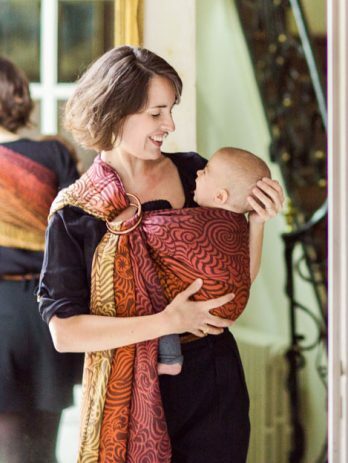 Babywearing boosts production of oxytocin in parent and child, which is essential for developing a secure bond (4).